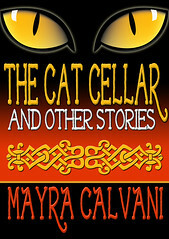 2011 Global Ebooks Awards Winner for Reference/Nonfiction! ForeWord Best Book of the Year Award Winner under Writing category! National Best Books Awards Finalist! Visit The Slippery Book Review Blog. Read the latest review by Heather Shaw, Editor-in-Chief of ForeWord Magazine! Latest News… The Slippery Art of Book Reviewing is being used as a textbook for a course on book reviewing at 3 American universities and one university in The Netherlands. Now available from your favorite online or brick and mortar bookstore. 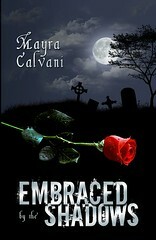 Also from Fictionwise, Twilight Times Books and Amazon. Get on KINDLE for just $2.99. You talk about challenges! Reviewing a book on how to review books–that’s a challenge. So you think you want to review books. Then this should be the next book you read. Find out if you have the right attitude, and tools that it will take to be a reviewer. I’ve been reviewing novels for about a year. I wish I’d had this book when I started. After reading The Slippery Art of Book Reviewing you will find that reviewing is indeed an art. It’s a learned skill that can impact the work of the author, and the publisher, as well as what the reader selects for his/her own enjoyment. You will learn how the reviews that you write will effect you and your believability, and the readers and their trust in you. As a writer this book gave me insight in my own writing, and as a reviewer I learned a lot about the business of reading. Calvani and Edwards have provided the world of publishing with something that was sorely missed, a well written, easy to understand and follow, book of instruction and information on and about the fine art of reviewing. This book has found a permanent place on my reference book shelf. 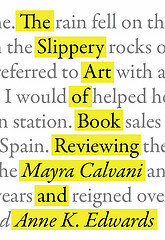 For more reviews of The Slippery Art of Book Reviewing, visit Amazon or the author’s website. I’m glad you found my review. I thought the book was a great resource and fills a void in the area of reviewing. You and Anne put a lot of work into it. Thanks for adding “Notes from Camp Swampy” to your blogroll. The Slippery Art of Book Reviewing is on my wish list.